ER collet is mounted on a drill chuck and milling machine. It is used to clamp drill cutter or knife. 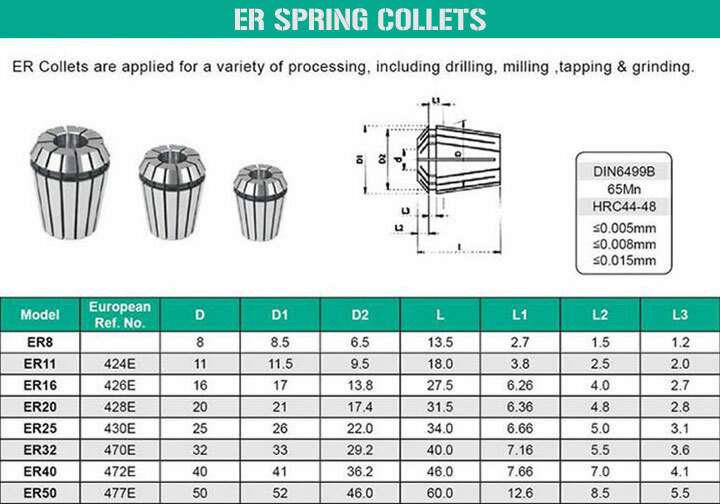 ER collet has stable performance, high accuracy by the majority of manufacturers trust. 1. 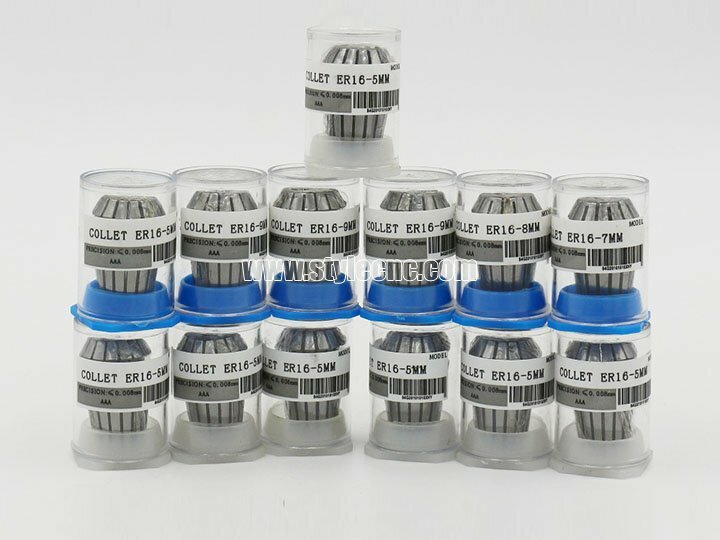 The ER collet adopts the high quality steel, the body has high precision, has excellent seismic resistance, high rigidity, strong clamping force and good accuracy. 3. Straight shank type suitable for holding a small drill, milling cutter. 4. ER extension bar can reduce the use of lengthened cutting tools, reduce the cost, improve efficiency. 5. Increase the stability of cutting. 6. Nut directly turn tight, high rigidity, strong clamping force. 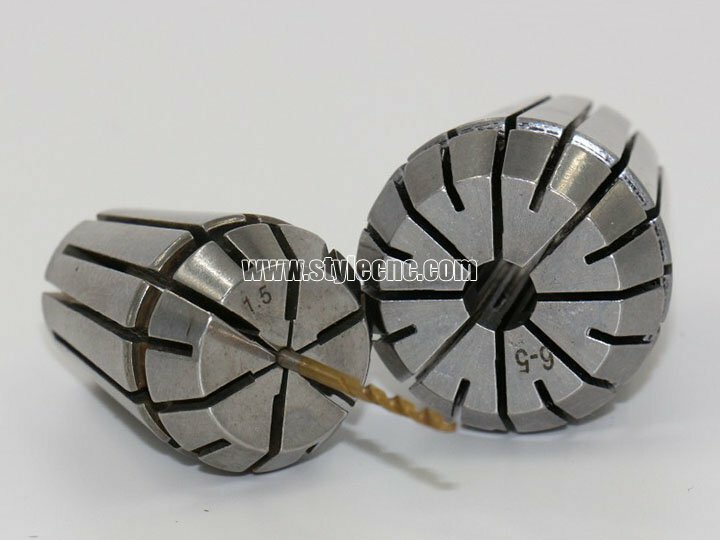 License: The text of "STYLECNC ER Series Collet ER11, ER16, ER20, ER25, ER32, ER40, ER50" by STYLECNC is licensed under a Creative Commons Attribution 4.0 International License. Good quality. Order first and will focus on this supplier.